This Army Helmet Ace Card is Complimentary. Our New Caduceus Scrub Hat is designed with authentic military grade fabric and high quality stitching. The cargo pocket is just a Bonus. 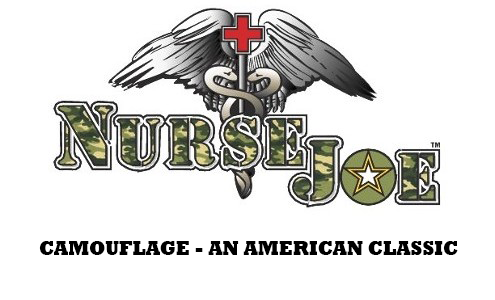 NurseJoe's Vietnam Olive Drab pants are constructed with 5 pockets including a back cell phone Multicam pocket. These pants meet high quality military grade standards in fabric and design. Buy Factory Direct and Get the Best for Less.